The Hawker Fury was a British biplane fighter aircraft used by the Royal Air Force in the 1930s. It was originally named the Hornet and was the counterpart to the Hawker Hart light bomber. The Boeing P-12 or F4B was an American pursuit aircraft that was operated by the United States Army Air Corps and United States Navy. Boeing developed the aircraft as a private venture to replace the Boeing F3B and Boeing F2B with the United States Navy, the first flight of the P-12 took place on June 25, 1928. Nicknamed the "Jug" for its bulky shape, the Republic P-47 Thunderbolt was considered a monster of a machine. Despite its size, the Thunderbolt proved to be a fast and maneuverable warbird able to hold its own in combat. In fact, when Allied pilots climbed aboard a P-47, they knew the were in control of a fighting machine with enormous power. 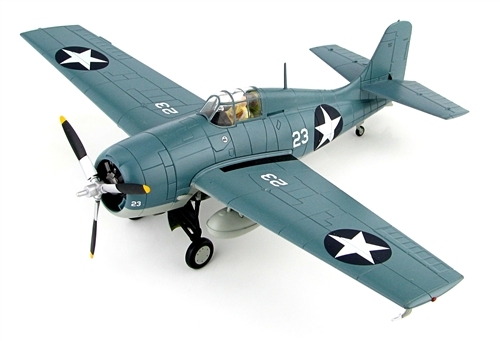 The Grumman F3F was the last American biplane fighter aircraft delivered to the United States Navy. Designed as an improvement on the single-seat F2F, it entered service in 1936 and was retired from front line squadrons at the end of 1941.